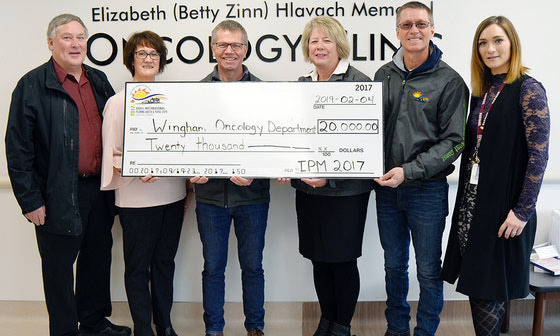 After a successful auction earlier this month, McGavin Farm Equipment Ltd. topped up the $16,000 that was raised through a fundraising auction to donate $35,000 to be split by the Huron Residential Hospice and the Tanner Steffler Foundation. The friends and family of Brian Schlosser of the Bluevale area were in for a nice surprise this spring from River s Edge Acres in the form of organic maple syrup. The population of Walton grew exponentially on April 1 as McGavin Farm Equipment held a special clearance auction. Walton-area man and University of Guelph student Sean Mitchell is part of a three-person team looking to change the landscape of cream-based liqueur. Now in its fourth year, the Chicken Farmers of Ontario (CFO) is continuing to see growth with its artisanal chicken program with plenty of local connections. Sandi Brock, a sheep farmer from Mitchell, has made it her goal to share everything about her life online through her video log (vlog), Sheepishly Me on YouTube. In just a few years, the Brussels Fall Fair Little and Junior Ambassador program has taken off, drawing in community youth to be part of the fair. Few places in the world have as strong a claim to the rutabaga as Blyth, especially with the Rutabaga King, A.H. Wilford, being tied to the community. Early last year, a new kind of agriculture business, Giddy Up N Go Ponies, relocated to just outside of Auburn with a focus on giving hands-on agricultural experiences to locals and tourists alike. After a childhood of 4-H Club involvement, Walton native Ryan Baan has now landed his dream job working with 4-H Canada as its marketing and communications co-ordinator. In the 2019 Salute to Agriculture special annual edition, The Citizen looks at the legacy of the 2017 IPM, an artisanal chicken program and a Walton native living his dream by working at 4-H Canada. 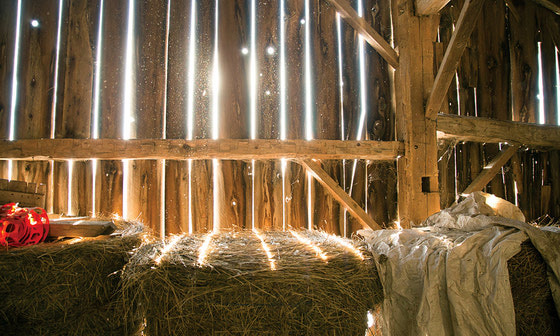 As part of the newly-created Deeper Roots Series, the Blyth Festival will be opening the floor to some serious discussions about agriculture connecting with the world premiere of The Team on the Hill this year. The economy is doing very well in rural Ontario says Huron-Bruce MP Ben Lobb and labour issues shouldn t detract from that. A group of Blyth neighbours came together last week and pulled off a daring rescue of a horse that, if they hadn t acted as quickly as they did, could have not had a happy ending. When it comes to telling people about farm safety, there are few stories as enlightening as those from people who survived dangerous farm incidents, like East Wawanosh farmer Chris Palmer. 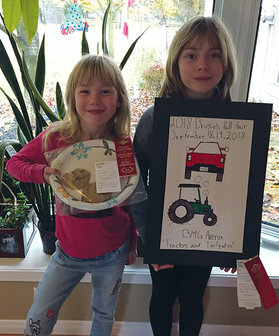 Seven-year-old Bridget McCallum from North Woods Elementary School won the reserve-champion title for her chocolate chip cookies at the Ontario Association of Agricultural Societies convention over the weekend. 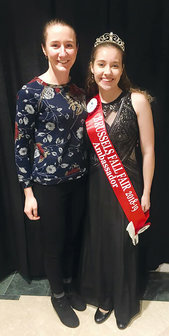 Brussels Fall Fair Ambassador Amanda Morrison has come away from the Ontario Association of Agricultural Societies (OAAS) annual convention excited for the summer and with a whole host of new friends. Phil Beard of the Maitland Valley Conservation Authority thinks some great progress has been made on bringing the details of the Carbon Footprint Initiative (CFI) to the provincial government. 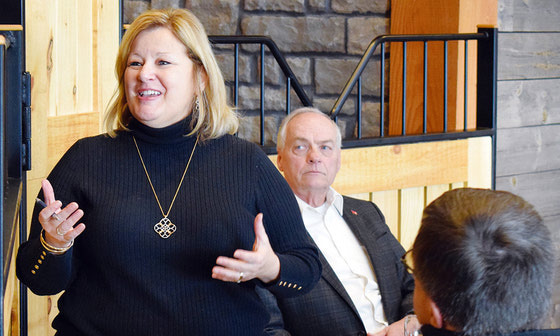 Lisa Thompson and Randy Pettapiece, MPPs for Huron-Bruce and Perth-Wellington, respectively, left Blyth encouraged last Friday after an agriculture roundtable held at Blyth Cowbell Brewing Company. 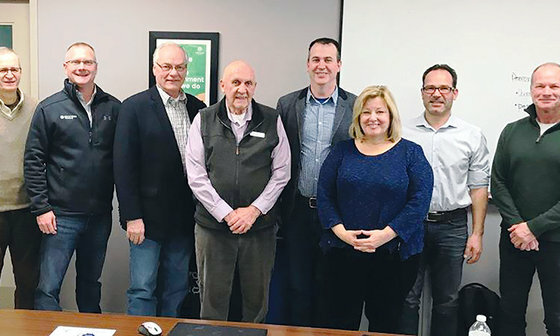 McGavin s Farm Equipment of Walton will soon be merging with Robert s Farm Equipment, which has locations in Chesley, Lucknow and Mount Forest. 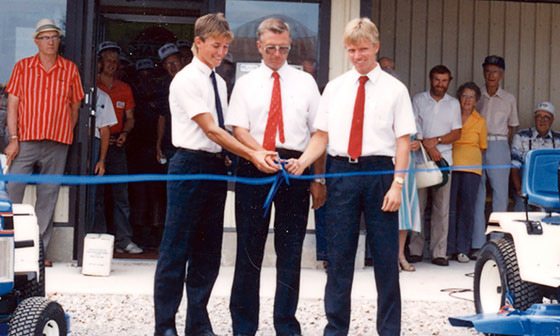 The impact of the 2017 International Plowing Match (IPM) in Walton will now live on for the next quarter-century thanks to the creation of the new legacy fund. 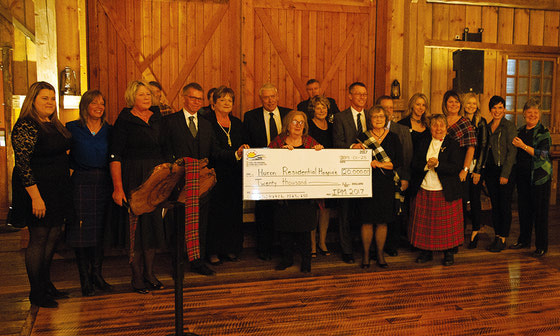 The Huron Residential Hospice left the Brussels Four Winds Barn $20,000 richer on Friday night thanks to the generosity of the 2017 International Plowing Match committee, which is back donating further proceeds from the match back to the community.